The Center accommodates groups from 10 to 200 guests during the conference season that begins after Labor Day and concludes in mid-June. All meetings and events must have a learning purpose. Our Complete Meeting Package (CMP) offers easy-to-plan, easy-to-budget per person, per night package rates. There are no gratuities or service charges and only the food portion of the CMP is taxed based on the California State rate, offering tremendous value and simple planning. Call our Conference Coordinators at (909) 337-2478 or click the button below for up-to-date information on rates, availability, and eligibility. 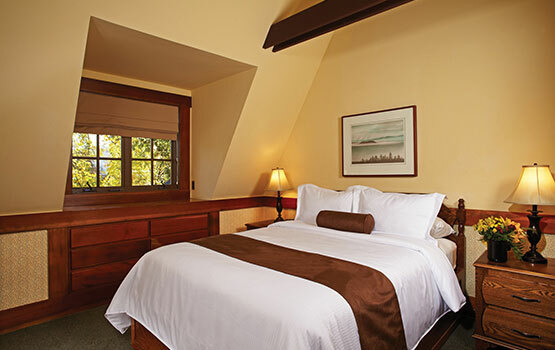 Offering convenience and value throughout your stay, our CMP is a per person, per night rate. You’ll enjoy these services beginning with guest arrival and check-in and continuing through the end of your meeting on check-out day. Please see below for a practical example of how our CMP works for events held at the UCLA Lake Arrowhead Conference Center. Four-course plated dinner at 6:30 p.m.
Breakfast buffet from 8:00 – 9:00 a.m. Lunch buffet from 12:00 – 1:00 p.m.
Four-course plated dinner served at 6:30 p.m.
*Our signature Condolets are a blend of a condominium and chalet. 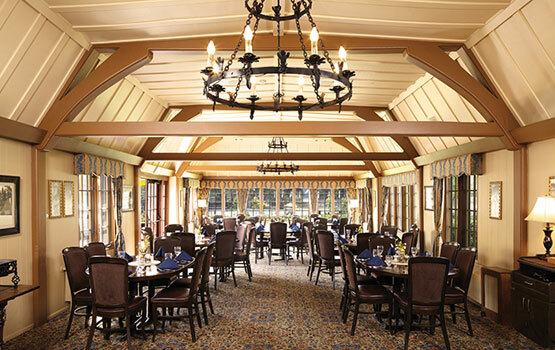 Your group will be seated together in one or more of our three dining rooms. Tables are large to promote conversation and camaraderie. You will enjoy wonderful, sunny views by day and the warmth of our fireplaces and candlelit tables by night. 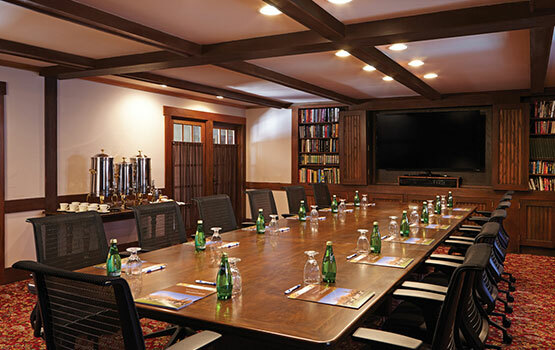 Group and private dining rooms, cozy lounge areas, fireplaces, and sumptuous food provide an exceptional dining experience for conference attendees. All dining rooms adjoin each other. The UCLA Lake Arrowhead Conference Center, as a state agency, cannot sell or provide alcoholic beverages. We do, however, allow you to bring your own social beverages (alcoholic or non-alcoholic) — in bottles and cans only please, no kegs. At your request, we will provide a complimentary social room set-up (ice and glasses) before or after dinner.